Different types of social change agents and catalysts in society operate in a wide range of sectors and industries. 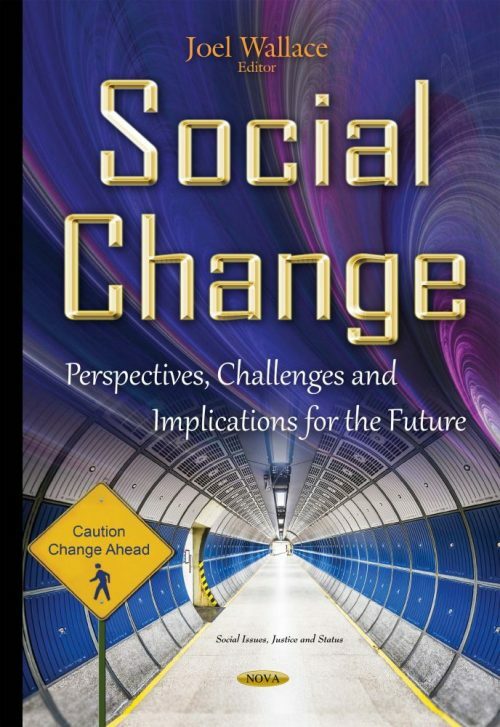 In the first chapter, some major theoretical perspectives in the study of social change and individual socioemotional functioning are reviewed. The authors of the second chapter explore the aforementioned agents and catalysts that can create a more meaningful and lasting impact in society if efforts, strategies and resources are aligned. In the third chapter, the effect of radical social change on the diffusion of professional norms across contexts is examined. The fourth chapter helps evaluators and program managers understand the importance of considering culture in program design and evaluations, with particular emphasis on culturally specific vulnerable populations. The fifth chapter studies two social change conceptions, very popular in sociological literature: modernity and modernization. Chapter 6 explores the effect of social changes and demographic variables on the importance of work outcomes. In Chapter 7, the authors’ describe the impact of social welfare and government trust in society on its citizens. The authors of Chapter 8 discuss the recent developments of school music education in China, focusing on Beijing and its long and rich history dating back more than 3,000 years. Chapter 9 aims to investigate the role of entrepreneurial ecosystem in the various steps of the development of a start-up and to verify the role of the social mission as an enabler factor in the enhancement of relationship with the actors in the ecosystem. In Chapter 10, the author theoretically develop and empirically test for the utility of the concept of social intermediaries (SI) in explaining social change. The last chapter of the book aims to give an account of the process of development, adaptation and change in the social structure at the microlevel, as a result of changes in the policies of development and the alteration of the global order.